For many adults, reading and writing come so naturally that they seem almost effortless. However, reading and writing are actually complicated skills that take significant effort to learn. For example, reading involves recognizing letters, associating letter combinations with their corresponding sounds, blending sounds together, identifying words, and connecting words to their meanings. Vision problems can interfere with several portions of this process, resulting in significant reading or writing deficits that may be diagnosed as learning disabilities. Refractive disorders. Farsightedness, nearsightedness, and astigmatism lead to poor visual acuity. This may make it difficult to clearly see written words. Convergence insufficiency. Convergence insufficiency is a function vision problem in which the two eyes do not stay aligned, particularly when doing close work. Eye movement disorders. Effective reading and writing require smooth, synchronized eye movements. Problems with the eye muscles or execution of these eye movements may significantly impair reading and writing abilities. Accommodative dysfunction. If the eyes do not focus accurately, words may appear blurred or may seem to move on the page. While children may be able to focus well when concentrating hard, this often leads to eye strain. Vision therapy offers an opportunity to teach the eyes to work more typically. Performed in an eye doctor’s office, vision therapy involves performing special tasks to correct vision disorders. This might include corrective lenses, prism lenses, computer tasks, focusing exercises, or eye movement tasks. Over time, completing vision therapy exercises retrains the eyes and brain to work together more effectively. 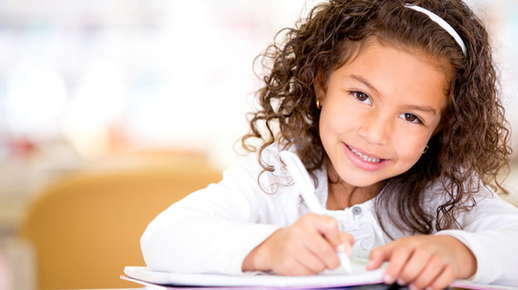 Vision therapy can correct many of the problems that lead to reading and writing difficulty, resulting in improved academic performance and better visual attention.